Awarded the Water Hygiene and Monitoring contract for a major international operator in the Hospitality and Leisure Sector commencing in 2000. The contract comprised of 125 multiple occupancy hotel properties located throughout the United Kingdom and mainland Europe. The Buyer required implementation of a training programme for service staff and an independent review process to establish cost controls for water hygiene management across its portfolio. The contract was awarded following a detailed consultation study of working practices and service deliverables in comparison with desired outcomes. The brief required development of an in-house water hygiene regime to ensure compliance with HSE ACoP (L8) Standards. The Buyer desired a more targeted approach towards its quality assurance measures for water hygiene management that would also augment its brand protection policy. Development of an implementation programme for L8 ACOP working practices to update group operational policy and procedures. Deployment of web-based digital logging systems to enhance delivery times and provide for accurate and timely reporting of Water Management activities to Head Office control. Training of client Service Teams in Legionella Control measures, essential record-keeping and practicable PPM routines. Streamlining of the existing service approach to maintain quality assurance and cost-effective outcomes to meet corporate objectives for compliance and brand protection. Maintaining an independent external review mechanism to assess current outcomes for continuous improvement recommendations. Delivery of consistent service levels aligned to KPI expectations over a long-term basis. 100% completion rates on scheduled services up from previous levels of 88%. By ensuring that these hotels are statutory compliant, we continue to protect their brand from damage associated with adverse press coverage and associated revenue loss. Our client saved £110,000 in annual remedial costs that was unnecessary and which had been recommended by the previous contractor. Identification of false legionella positives gained by poor sampling and site procedures resulted in further annual hard cost savings of £25,000 and associated costs of disruption to guests and hotel operations. 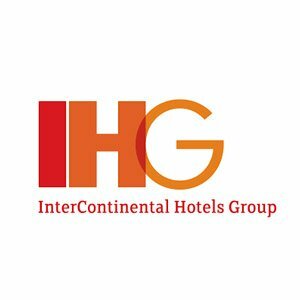 Urban has maintained preferred supplier status with IHG since 2000 and continues to provide quality water hygiene services across the IHG portfolio including various sub-management groups such as Lapithus Hotel Management UK and Ribbon Hotels.